Knowledgeable barge pros put over 75+ years of barge rental experience to work to help you through the process of selecting the right barge/s for your needs. Glenn E. Daulton, Inc. provides barges and services across the United States, and maintains a large compatible fleet of various sizes and capacities. Glenn E. Daulton, Inc. Barge Rental and Services Company was founded in 1938 by Glenn Daulton in Caruthersville, Missouri. Mr. Daulton was a pharmacist by trade, but he wanted to build a business beyond his small pharmacy; in 1938 he purchased two barges, and began renting them to local construction companies. As money became available, he purchased more barges to add to his rental fleet. Mr. Daulton understood the importance of building and maintaining a respected reputation for his business so he built his company upon high ethical standards and a commitment to his customers and their needs. Glenn E. Daulton operated the company for over 60 years. 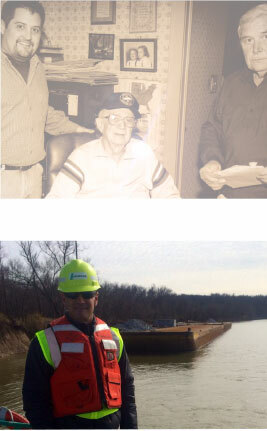 The last 40 years of Mr. Daulton’s barge career were spent working with his son-in-law, Robert E. “Sonny” Frankum. Sonny learned all there was to know about Daulton’s barges, and helped the business grow by applying his knowledge to building new business relationships. In the last few years of his life, Mr. Daulton worked on bringing his grandsons into the business. Tim, Dave and Dan Frankum all spent time learning about the barges, their cargo, and how best to service clients and equipment. By learning from the vast amount of experience amassed by both Glenn and Sonny, Tim and Dave successfully operated and expanded Glenn E. Daulton Inc. until 2004. Dan Frankum, President of Glenn Daulton continues to run the company with his wife Chrissy. 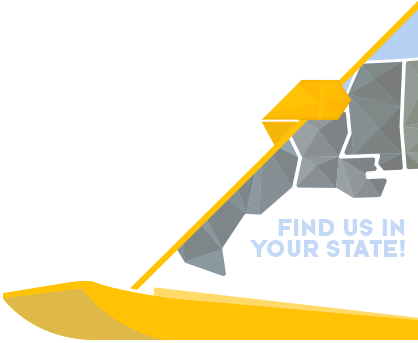 Dan previously worked for Bank of America in Union City Tennessee, Baltimore Maryland, Washington, DC and finally in Nasvhille Tennessee where he currently resides and has an office. The headquarters of Glenn E. Daulton, Inc remains in Caruthersville, Missouri where Glenn Daulton began.